The early indications are that the digital agriculture revolution will provide important productivity gains if the required human, agronomic, scientific, computer and data science resources are developed. Digital agriculture is generating a flood of data that is produced as a result of everyday practices within farming enterprises and product supply chains. 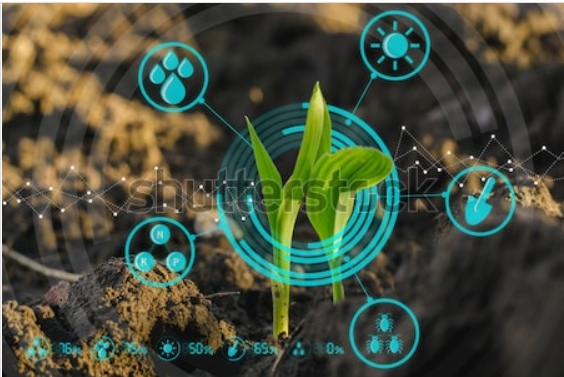 It is the emergence of this digital agriculture data and the potential use of big data analytics which may drive a significant change from skills-based farming systems towards a more industrialised model where decisions are made with a weighting on objective data. The use of farm systems that implement data-driven decisions enables farmers to change from whole-paddock to metre by metre management with an increase in farm productivity and profitability. Using the relevant data to better inform the supply chain off-farm should bring further benefits. Agricultural data is basically a collection of small data systems collated by farmers for use at a paddock level. In basic terms, farms use ‘small data’ when data is isolated to their paddocks and farm where the data is generated. Many farmers that use data collecting technology to document productivity, profitability and gain insights into their paddocks and business are using data that is considered ‘small’. ‘Big’ data is the combining of many packets of ‘small’ data into aggregate data sets. By doing so the data has the potential to provide a much greater value to individual producers and the agricultural industry. Agricultural ‘big’ data has the potential to reveal undiscovered insights into all aspects of the industry. Currently there is little direct evidence regarding the value of ‘big’ agricultural data sets, but there is numerous indirect evidence that suggests that ‘big’ agricultural data has immense value to the industry. The use of small and big data at a paddock and farm level could hold important implications for the profitability and long-term future of farming enterprises. It has been shown in other industries that early adopters of small and big data have gained a competitive advantage within their specific industry, resulting in increased profit and resilience. Whether this will happen in the agricultural space will be seen in the near future.